"I've been to all the trade shows. I interviewed dozens of companies before I made my decision to spend my money on mSPA because I wanted to make sure I was getting the best value...The flexibility of the software is just phenomenal for our business. I highly recommend it for everybody." 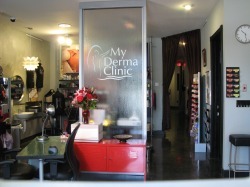 My Derma Clinic was founded in 2005. It is privately owned by M. Margaret Haley, who serves as the clinic's managing director. Ms. Haley is a lawyer and also has an Associate's degree in Natural Health with a concentration in Skin Care and Therapeutic Massage from the Florida College of Natural Health. Ms. Haley is a Licensed Facialist, a Licensed Massage Therapist (LMT), and also a Certified Medical Electrologist (CME) trained in Laser Hair Removal.